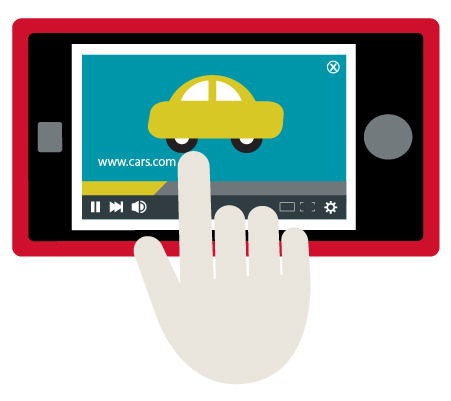 Engage new customers by showing them video ads across premium publishers. Video is an excellent medium for reaching users via desktops and mobile devices. Real-time bidding allows Simpli.fi to target users based on geography and online behavior. Pre-roll Video Ads: These video ads appear immediately before free video content on publishers like CNN.com, Forbes, ABC Family, MLB.com, Local News Sites, and others. Mid-roll Video Ads: These ads appear within the content of longer videos, such as complete television episodes. Post-roll Video Ads: These ads appear at the end of a video. Non-skippable Ads: These non-skippable ads are 15 seconds or less, ensuring that prospects complete the video before continuing to their free content. Skippable Ads: Ads greater than 15 seconds are skippable after the first five seconds. In-banner Video: These videos are converted to in-banner format and size to run in standard display ad spaces. Premium Inventory: Availability of programmatic video inventory is less than display inventory, accounting for only about 1% of all programmatic inventory. Simpli.fi works with LiveRail, SpotXchange, and AdX (DoubleClick) to ensure your videos are seen by prospects on premium publishers and top mobile apps. Ad Placement: Video ads often appear center page and above the fold for the best viewability among programmatic advertising. Global Distribution: Simpli.fi can serve video ads across the globe including the United States, English speaking countries, Latin America, and Europe. * Increasing the number of targeting tactics may decrease availability of inventory. Click here to view the programmatic video information graphic. Complete the form to request a demo of the Simpli.fi platform and see a sample report.